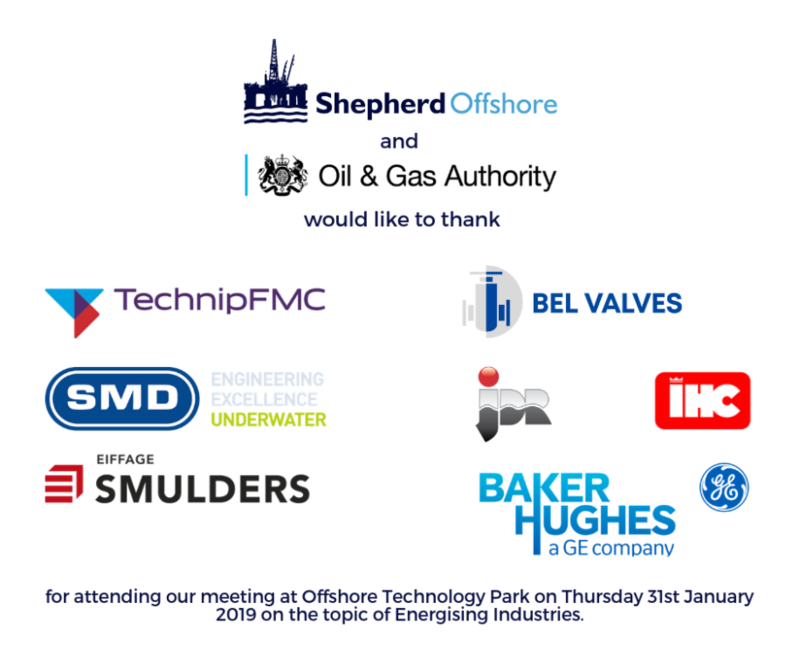 Yesterday Shepherd Offshore hosted a meeting between the Oil & Gas Authority and local business leaders from Baker Hughes GE, TechnipFMC Umbilicals, JDR Cables, Royal IHC, SMD, Bel Valves and Smulders. This provided the opportunity for the Oil & Gas Authority and local manufacturing and supply-chain decision-makers to meet, give an overview of their company and discuss the topic of Energising Industries. We are driven by a passion for regional economic growth and strive to continuously increase the opportunities we provide for stakeholders, clients and local communities alike and so it was an immense pleasure for us to host the meeting and bring together business leaders from the region and beyond. We would like to thank all the companies that attended for their valuable input and hope the event created value for all parties involved, demonstrating the merit and ambition of the region’s manufacturing industry.